Even as a young girl, Bella Pearce loved handbags but as she grew up she discovered their expensive price tags didn’t always fit her student budget, and she wasn’t about to give up on her favourite luxury item. So, she set about creating her own beautiful, yet affordable range, Imbellished By Bella, which now features 11 stylish, ethical – and uniquely colourful – pieces. It was during her three years studying at The University of Otago, that the designer handbag dream was born. “I’ve always been obsessed with designer fashion, it’s been a big passion of mine, but when I was a student, I became aware that these items aren’t always affordable,” she says. 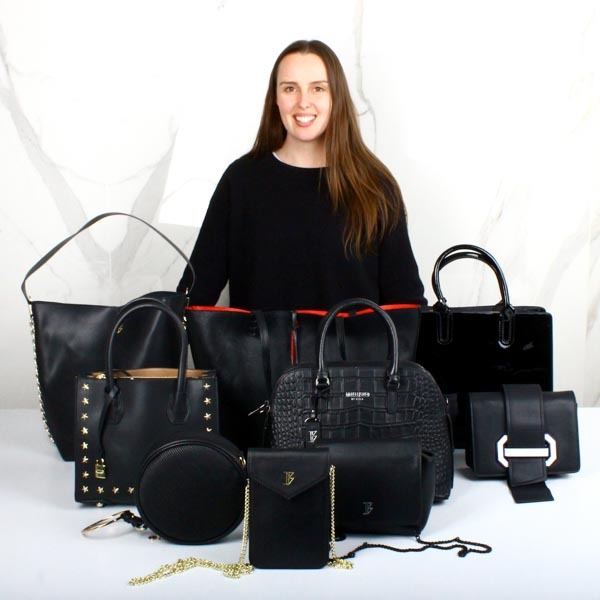 Using sustainable leather as her primary product – there are also non-leather options – Bella designs the handbags herself, has them manufactured abroad, then sells them online through her website. By working a season ahead, she stays bang on trend with overseas styles and works hard to make sure each bag has been ethically made to endure the test of time. Thanks to word of mouth, an Instagram and Facebook following, and the quality of the product, the brand’s popularity has been growing steadily. Visit www.imbellishedbybella.com or contact Bella at imbellishedbybella@gmail.com.